Adoption Covenant's domestic adoption programs differs from that of many others. 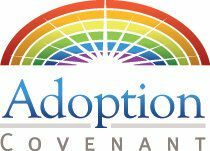 Adoption Covenant's program is neither open or closed -- it is mediated. With mediated adoption, communications are handled through the agency. We ask that Adoptive Parents be willing to meet the birth parents, but no identifying information is exchanged. Adoptive parents provide periodic written updates to Adoption Covenant regarding the child until the child reaches eighteen. Those updates are available to the birth parents. While no one can guarantee you a time frame for adopting a child, we recognize that the wait can be very painful. Because of that, we have a limited number of spaces available in our domestic program. We try not to accept more families into our program than we can place within eighteen months. This does not guarantee placement within eighteen months, but it does minimize the likelihood of placement taking longer. This program is open and we are currently accepting applications. Please call or email to request an application. If you would like to be added to the wait list and be notified when a place is available in our program, please call or email to request a Wait List Application.